Happy New Year! It’s been about 4 months since my last post and I told myself that I would stop with the BS excuses in 2019 so I’m just going to be honest with you. I have no idea what I wanted to do with “Amore Luxe”. What began as a passion/hobby started to feel like a burden. I was depressed and discouraged and didn’t want to write about that so I stayed away. I would occasionally pop up and try to impart words of wisdom but it didn’t feel completely genuine so I felt that it was best that I stayed away until I had something positive/fun/uplifting to write about. Days turned into weeks and weeks turned into months and before I knew it, 2019 was here! I told myself that I wouldn’t start this year off the same way as I did all the others: broken promises and more bs so I’m posting today to tell you that I’m still figuring out what direction I want this blog to go into. No major announcements will happen until I know exactly what I want to do. I have ideas but until they are made a reality, I am going to work behind the scenes and really plan things out. Although there won’t be any posts for the time being, I am still active on social media (Angela Cherai on FB and @amoreluxe_ on IG) so you can reach me there and “Amore Luxe Media” is up and running so hit me up for all of your social media/content writing needs! Thank you for your continued patience and I will make sure that all of the changes are worth the wait! Talk to you soon!! 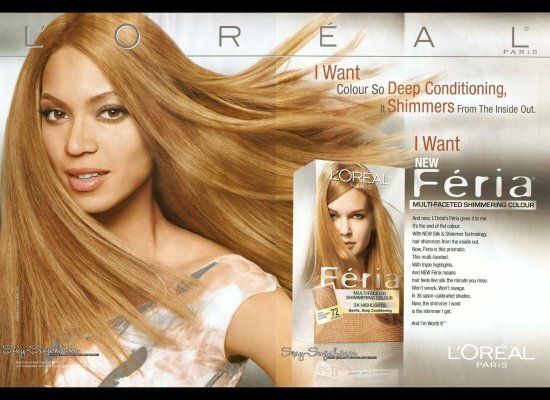 This L’Oreal Advertisement is the perfect example of a company using specific ideals of beauty to sell their product. I know its been a minute but I am done with all my school obligations for this quarter so I am back to focusing on my baby(aka the site!) I was having a difficult time trying to figure out what to write and I wanted to talk about something related to the “Confidence Campaign” that I still intend on doing to the fullest. All of a sudden, an idea came to me while I was looking at the grades for one of my classes. All quarter, I have been working on a 20 page research paper related to my field of study(marketing) and a topic that interests me(beauty) and I came up with the topic “Beauty as a Marketing Tool). In the paper, I discuss the various techniques advertisers use in order to market beauty products. What many fail to realize is that so much planning and manipulation goes into creating the “perfect” image that many times what we see isn’t a reality. In my paper I state “In this age of modern technology, companies have been able to alter the images we see in television and in advertisements by way digital manipulation tools such as Photoshop which allows a person to change various features such as skin color, height, weight etc. in pictures and in videos. The finished result usually differs greatly from the original presentation.” As a result, of viewing these advertisements,” a person’s reality can be distorted by creating a false world where everything is perfect and in balance”. This topic is very dear to my heart because I know what it is like to be lured into this “fantasy” world that advertising executives create that say you can be “beautiful” if you use these products and go on certain diets to look a specific way. Beauty is supposed to be objective but when a company wants to sell a product, they attempt to manipulate their ideals by creating campaigns that show specific images so that their ideals will be the ones embedded into consumers’ minds. I love the power that a great marketing campaign can have on a consumer by using various psychological techniques and statistical data. However, I do not like the deception that comes with many of these campaigns because purchasing the product/service may be the end result for the company but many times, these ads have detrimental effects on a person’s self-esteem because she believes that she needs to be perfect or fit someone else’s standard of beauty to be accepted in society. This feeling of wanting to belong is the foundation of low self esteem and in my opinion needs to be eradicated. We need to embrace differences and accept beauty in all colors, shapes and sizes. I heard the term “Flawsome” being used on a reality show on television and I thought it was perfect. Many flaws and imperfections should not be viewed as negative attributes but should be embraced because they are what make a person stand out. As long as you are healthy, happy and focused on living the best life, everything else is irrelevant!